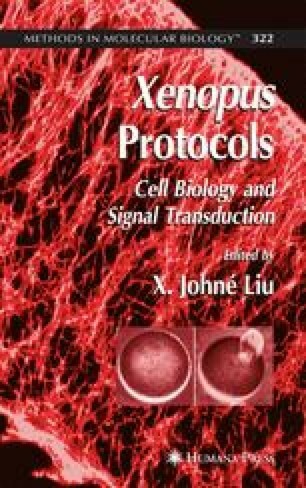 Xenopus oocytes have become a favored preparation in which to study the spatiotemporal dynamics of intracellular Ca2+ signaling. Advantages of the oocyte as a model cell system include its large size, lack of intracellular Ca2+ release channels other than the type 1 inositol trisphosphate receptor, and ease of expression of foreign receptors and channels. We describe the use of high-resolution fluorescence imaging techniques to visualize Ca2+ signals in Xenopus oocytes at levels ranging from global Ca2+ waves to single-channel Ca2+ microdomains.